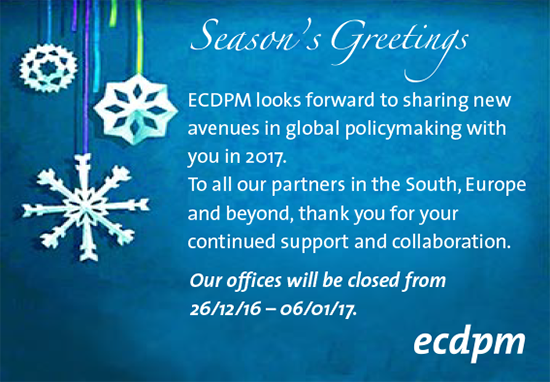 ECDPM looks forward to sharing new avenues in global policymaking with you in 2017. To all our partners in the South, Europe and beyond, thank you for your continued support and collaboration. 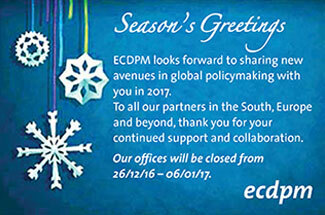 Our offices will be closed from 26 December 2016 until 6 January 2017.